The Salisbury Youth Hockey 10th Annual Golf Tournament will be held on Monday, July 29, 2019 at the Torrington Country Club, 250 Torrington Road, Goshen, CT 06756. To register call Lisa Duntz at (860) 671-0136 or email lduntz@ascendantcompliance.com for a mail in registration form. The cost of the 18 hole, four-person scramble is $135 per person. There is a discounted price of $125 for early registration by July 8, 2019. Registration deadline is July 22nd. Entry fee includes green fees, cart, lunch with beer, buffet dinner and on-course prizes and awards. There will also be a raffle. Happy Gilmore driving and putting contests and an on-course poker game for additional fees. On-course beverages are available for purchase and there is a cash bar at dinner time. On-course contests include closest to the pin, longest drive and hole in one. 11:00 am Registration and Lunch, buy raffle tickets. Happy Gilmore putting and driving contests between lunch and tee off. 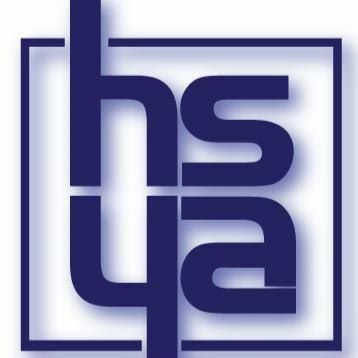 This tournament continues to be one of SYH’s biggest fundraisers; the proceeds help to ensure that kids can participate. Money raised is used for additional ice time, skating clinics, goalie clinics, scholarships and jerseys for new members of our teams. To register or for more information contact Lisa Duntz at lduntz@ascendantcompliance.com. 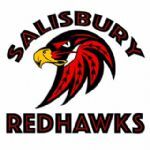 To learn more about Salisbury Youth Hockey visit salisburyredhawks.com. There are $75 and $150 sponsorship opportunities still available. Go to, you know, lduntz@ascendantcompliance.com to learn more. The Sharon Fire Dept. Annual Golf Tournament will be held Tuesday, October 2, 2018 at the Sharon Country Club, Amenia Union Road, Sharon, CT. Please Note: The following information is from the 2017 tournament. Call the number below for current prices and times. 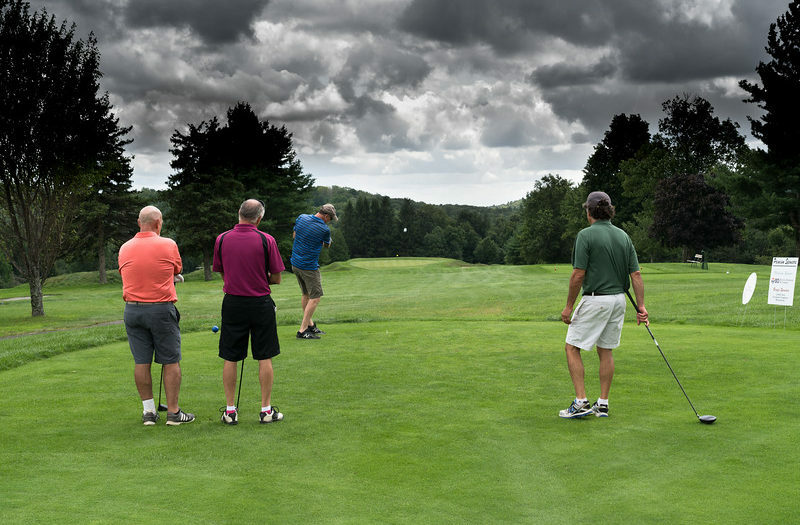 The entry fee for the 18 hole, four-person scramble event is $125 per person which includes green fees, cart, lunch, on-course contests, refreshment cart, awards and dinner. There will be a raffle. Pre-registration is required, but register early because this tournament fills up fast. Call (860) 671-5758 to register. Awards, dinner and raffle after play. Proceeds from the tournament will benefit the Sharon Fire Dept. This year funds will purchase turnout gear. For more information or to find out about sponsorship opportunities call (860) 671-5758. The Kent Volunteer Fire Dept. “Mulligan” Golf Tournament will be held Tuesday, October 2, 2018 at the Tom Fazio-designed Bulls Bridge Golf Club, 71 Bulls Bridge Road, South Kent, CT 06785. This tournament has been rescheduled from September 10th. The 18 hole tournament will be a four-person scramble format. There will be on-course contests including a hole in one prize. The cost of the event is $250 per person which includes green fees, cart, light lunch, on-course refreshments, prizes, awards and three-course dinner at the Fife and Drum Restaurant. A dinner-only option is available for $50 per person. On-course contests include hole in one (with great trip options), closest to the pin, closest to the line, longest drive, male and female and straightest drive. With limited space, golfers are encouraged to register early. Sponsorship opportunities range from $100 to $2000. Proceeds from the tournament will benefit the Kent Volunteer Fire Dept. to help provide emergency response to Kent and surrounding communities. For more information visit kentfire.org/golf or call Scott Harvey at (860) 671-0398. To get registration form email golf@kentfire.org. The BLN 18th Annual Charity Golf Tournament will be held Monday, October 1, 2018 at the Torrington Country Club in Goshen, CT. The tournament is presented by Brooks, Todd & McNeil, Litchfield Bancorp and Northwest Community Bank. The cost of the 18 hole, four person scramble format tournament is $190 per person which includes green fees, cart, lunch, awards and dinner. A dinner only reservation is $50. For more information visit litchfieldbancorp.com and click “Community and Events”. Cocktail reception, dinner and awards immediately following play. There are also on-course prizes and a putting contest. Corporate sponsors have several levels of participation to choose from. Call Lisa Partrick at (860) 393-9172 for details about sponsorships, registration, etc. All proceeds from the tournament will benefit the Susan B. Anthony Project, FISH of NW CT, The Community Kitchen of Torrington, the McCall Foundation and the Open Door of Winsted. The tournament has raised over $400,000 in the past 17 years. The P.J. Mannion 2nd Annual Golf Tournament will be held Monday, October 1, 2018 at The Club at River Oaks, 2 Evans Hill Road, Sherman, CT 06784. The entry fee for the four-person scramble tournament is $160 per person which includes green fees, cart, on-course contests, lunch and BBQ dinner. There is a $30 dinner-only option. To register, or for more information call Christopher Mannion at (203) 770-0730 or email him at cmannion15@gmail.com. You can also call Patrick Mannion at (203)770-3260 or email pjmann277@earthlink.net. Proceeds from the tournament will benefit Help Hope Live Northeast Transplant Fund to assist with uninsured medical expenses. To learn more about Help Hope Live visit helphopelive.org. Tiger Woods won the Tour Championship Sunday. From his first Masters win in 1997and for years thereafter, Tiger enjoyed unprecedented hero worship. As his win list grew so did his legions of devoted followers. Yes, Tiger was our hero. And then he wasn’t. The arc of his five year journey back to golf relevance is well documented. Personal scandal and health issues including four major back operations removed him from the game and from our favor. And his struggle to regain his game has been at times difficult to watch. But through perseverance, talent, herculean effort and a laser focus, Tiger has returned. And as the film clips and headlines reveal, he is our hero again. So how then can we mere mortal golfers, us hackers, possibly find kinship with our hero? After all, we share none of the attributes that make Tiger great. Most of us will enter charity golf tournaments without victory even in our sights. We set the bar low- “just don’t let us be last”. We choose our foursome mates to share in the fun of playing an unwinnable game, and as we flail on the tees and toil in the bunkers, we’ll laugh at the occasional “whiff” and rejoice together in the rare birdie. Hopefully we’ll practice gratitude for the gift of standing on hallowed sod to pursue the game we both love and hate. But mostly we enter these tournaments for the causes. In the course of a season our fees will help send high schoolers to college, help ease the pain of disease and support the hunt for their cures, help feed, house, employ, protect and otherwise improve the lives of the disadvantaged. Our presence in these tournaments will support the arts and animal welfare, preserve our precious places, build trails and fund our volunteer emergency services. In their aggregate, these tournaments, and the weekend warriors who play in them, raise the quality of life for all of us. So, who’s the hero now? The Salisbury Winter Sports Association (SWSA) 11th Annual Golf Tournament and Pig Roast, Saturday, September 22, 2018 at the Under Mountain Golf Course in Copake, NY. The rain date is Sunday, Sept.23rd . Participants in the two- person scramble event can choose between two nine-hole flights or an 18 hole event. 1:30 pm 2nd flight shotgun start for afternoon 9 hole event. 18 holes – $75 per person. Entry fee includes green fees, on-course contests, on-course beverages, awards and pig roast dinner. Carts are extra and by arrangement. The Sunday in the Morning Food Drive crew with NASCAR Dave will provide the pig roast picnic dinner following the tournament. Breakfast sandwiches and lunch will be available for sale and will benefit the Sunday in the Country Food Drive. Prizes will be awarded in several categories including male, female and mixed teams. There will be several on-course contests including longest drive and closest to the pin. The tournament is limited to 50 two-person teams so pre-registration is recommended. Proceeds from the tournament will benefit SWSA’s youth programs which include skiing scholarships to area grade school students. To register, email SWSA President Ken Barker at kennethsbarker@gmail.com , or call him at (860) 806-0471. The Salisbury Central School 6th Annual Golf Tournament will be held Wednesday, Sept. 19, 2018 at the Hotchkiss School Golf Course in Lakeville, CT. The rain date is Sept. 22th. The entry fee for the 18 hole, four-person scramble format event is $400 per foursome which includes green fees, cart, coffee and donuts, on-course snacks and beverages, lunch, on-course contests and awards. On-course contests include closest to the pin and longest drive for both men and women. There will also be a raffle. The tournament is limited to eight or nine foursomes, so early registration is recommended. 2:30 pm Lunch at the Hotchkiss School Boathouse, raffle and awards. There are $50 hole sponsorship opportunities available, and event organizers welcome raffle prize donations. Proceeds from the tournament will help fund the SCS 8th Grade class trip to Washington DC. The Coarc Opportunitees Golf Tournament held in honor of Gerald J. Dieffenbach will be held Thursday, September 13, 2018 at the Copake Country Club in Craryville, NY. The rain date is Sept. 20th. The entry fee includes green fees, cart, lunch on the run, on-course refreshments, on-course contests, awards, cocktails and dinner. A dinner only option is $50. Awards will go to the top three low gross scores. On-course contests include closest to the pin, longest drive and hole in one. There will also be a putting contest. There will be a silent auction of signed sports memorabilia, a prize raffle and a 50-50 raffle. Sponsorship opportunities range from $100 to $5,000. For more information call Pamela Dusharm at (518) 672-4451 ext. 2101. Proceeds from the tournament will help fund Coarc’s advocacy for individuals with disabilities and their families in Columbia County. To learn more about Coarc, visit coarc.org. The Harwinton Youth Sports Association18th Annual Golf Classic will be held Thursday, September 13, 2018 at Fairview Farm Golf Course, 300 Hill Road, Harwinton, CT 06791. The entry fee for the four-person scramble format tournament is $160 which includes green fees, cart, on-course contests, awards and dinner. There is a $35 dinner-only option. On-course contests include closest to the pin, longest drive, hole in one and closest to the line. There will also be a putting contest. To register (or for more information) call Gloria Hall at (860) 601-8199 or email treasurer@harwintonsports.org. 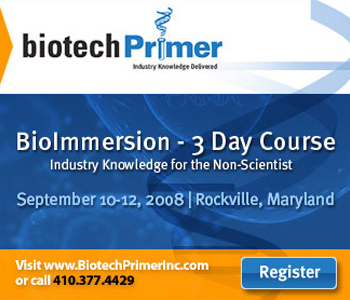 The registration deadline is Sept. 1st. Dinner, awards, and raffle after play. Award to best team score. Proceeds from the tournament will benefit the Harwinton Youth Sports Association baseball, field hockey, basketball and soccer programs. 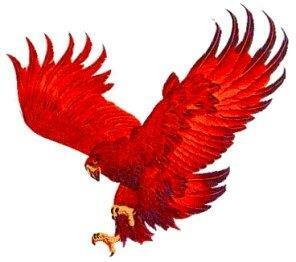 To learn more about the Harwinton Youth Sports Association visit harwintonsports.com.